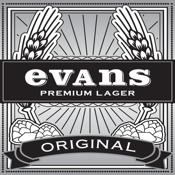 Official app for Evans Lager beer. Now you can track everything Evans Lager. Join the Evans Army to get cool free gear and find out where the next big party is going to be at. Keep up to date on the hottest girls in Orange County, Evans Angels. You can also play Spin the Bottle with our Evans spin the Bottle game. Enjoy and Drink responsibly.